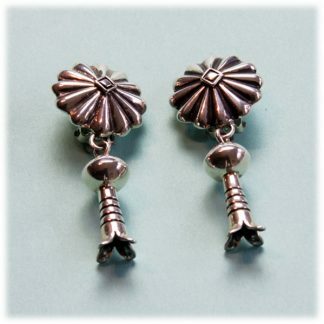 View cart “Allison Snowhawk Lee Clip Earrings” has been added to your cart. Allison Snowhawk is a full Blooded Navajo of the clan “Beneath The Wings.” Snowhawk was his Grandmother’s name, given to her because she was born in the winter. When he was young he used to sit at her side while she wove traditional Navajo storm pattern rugs by kerosene lamp light. Early memories of her rug designs and his respect for the past are important in the life and art of this highly respected silversmith. Allison was born April 26,1958 on the Navajo Reservation in Mexican Springs, New Mexico. He went to a boarding school until the 8th grade. At the school, they changed his last name to Lee because they couldn’t pronounce his Navajo name. He signed his work as Allison Lee until recently. His name changed,but not his link with the past, or his Navajo pride. Five miles from home he attended a public high school where most of the students were Native Americans. There he had his first taste of silversmithing in art class. 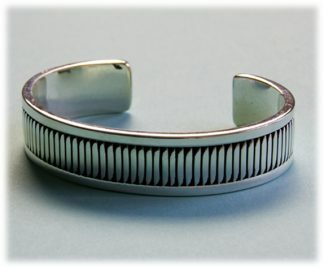 When he was 14, his Mother asked him to make her a special ring. 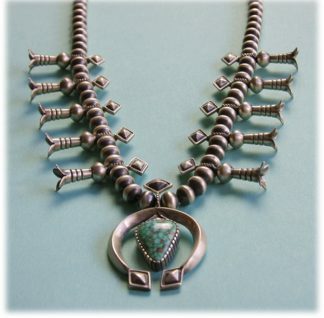 The turquoise stone she gave him to use was the last of three from an old brooch that belonged to his Grandmother (the other two had been lost. 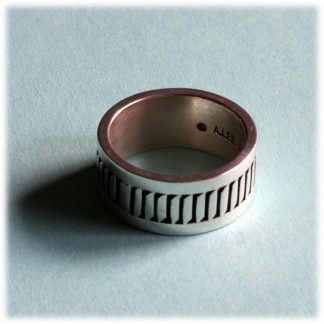 )He made the ring easily and well, and felt an incredible satisfaction in making something new from the old. This sense of renewal was a pivotal point in his life and his career. 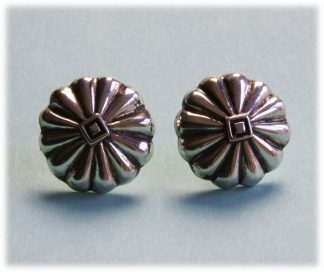 During high school summers he worked at silver shops in Gallup, New Mexico. 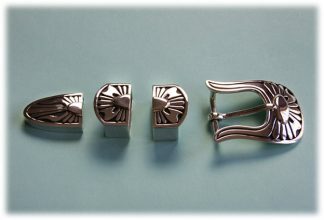 Allison started by sweeping floors, but soon gained the confidence of the top silversmith and was allowed to study his techniques. Each summer he worked in a different Gallup shop under a new master. He graduated from high school in 1977, and won “The Most Artistic Award” in his class of 160 students. 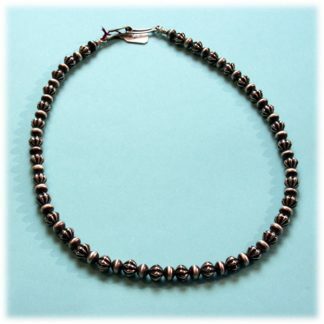 His family started making jewelry in the early 70’s when there was a boom in the Indian jewelry market, and a lot of new silversmiths got onboard. Allison started making original designs and completely handmade pieces then, and still does today. 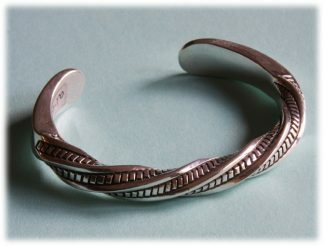 Allison hopes that his children will continue to show interest in silversmithing and it will become a family tradition. Allison’s artistic flow comes from spending time in the quiet canyons outside his Albuquerque home. 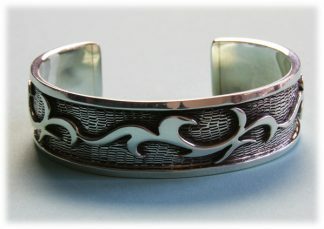 Some of his enticing and exquisite designs are inspired by the prehistoric rock art found there. 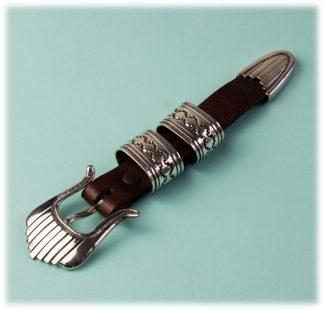 You can clearly see his Grandmother’s spirit in his beautiful “Rug Design Concho Belts”. Allison’s work has been winning Blue Ribbons in prestigious southwest art shows since 1988.